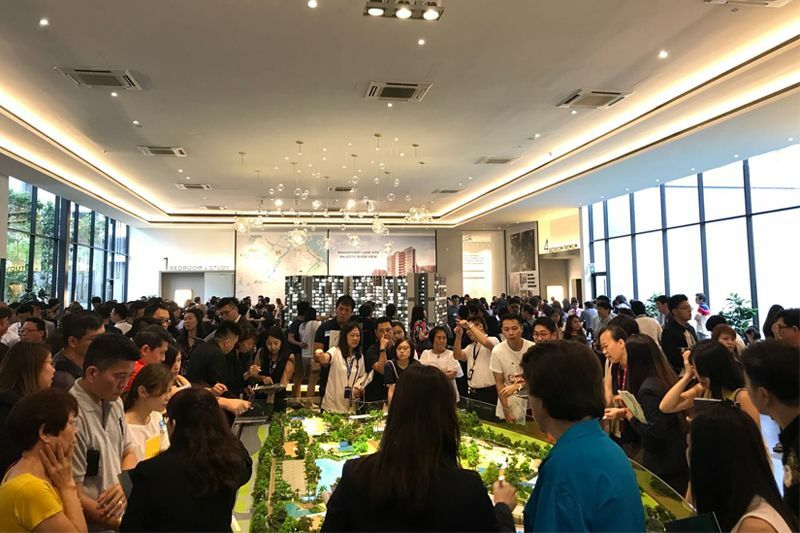 Since the first 12 stations were announced for the new Cross Island MRT line, several new launch condo projects which are located near to some of these upcoming stations have been given a boost in sales over the last week. 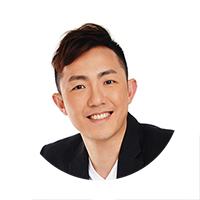 For instance, buyers have been snapping up units at projects such as Affinity at Serangoon by Oxley Holdings and The Garden Residences by WingTai & KepLand. Both developments were launched back in 2018, just a month before the latest cooling measures were announced on 06 July 2018. Since then, these two projects have been receiving moderate interest from the market. This is mainly due to the close proximity between the two of them, competition from the other new launches in the same or nearby districts and there isn’t any MRT stations within the area at this point of time. However, within just 7 days from last week’s announcement from the Land Transport Authority (LTA), the 1,052-unit Affinity at Serangoon has sold approximately 45 units at an average per square foot (psf) price of $1,475. According to Oxley Holdings, Affinity at Serangoon usually sells 5 to 8 units every weekend. But the announcement of the stations for the Cross Island MRT line has helped the project to sell around 30 units last weekend alone. Based on LTA’s plan, the new MRT station in the area will be approximately just 5 minutes’ walk away from Affinity at Serangoon. Market watchers noted that such announcements will usually lead to a short-term boost in property sales and in some instances, a surge in price in those projects which are near an upcoming MRT station. Such ‘phenomenon’ has been witnessed during earlier days when the Downtown and Circle MRT lines were announced and analysts believe that investors can likely expect growth in prices for the new launch projects and resale condos nearby when the new MRT stations are near completion. On the other hand, The Garden Residences – a 613-unit condominium has also seen a surge in buying interest since last week’s announcement of the future Serangoon North MRT station. The first phase of the Cross Island Line will be due for completion by 2029 and according to the latest plans, it will span across 12 MRT stations – from Changi to Sin Ming. Just Phase 1 alone, we’ve already seen 4 interchange stations along the whole route. One of them will be Bright Hill MRT station (situated along the upcoming Thomson-East Coast Line), which will be expanded into an interchange station. Other stations such as Hougang, Ang Mo Kio, and Pasir Ris will undergo the same expansion plans linking the Cross Island Line to the North-East Line, North-South Line, and East-West Line respectively. Property consultants have mentioned that the ongoing new launch condo projects such as Riverfront Residences in Hougang and The Florence Residences will also likely benefit from the plans due to their close proximity to Hougang MRT station. Logan Property, the developer for The Florence Residences (former Florence Regency) also expects its latest 1,410-unit project to be well-received among homebuyers and investors who are looking leverage on the upcoming Hougang MRT interchange. Despite being already close to the existing Kovan MRT station, It will be an added bonus to have an interchange station nearby and it is definitely ideal for investors or those that frequently commute between Changi and Jurong, said Logan Property.